← Crystal P-Allardyce vs Arsene-L: Showdown at Selhurst Between Escape Artists? Match Preview, Predicted Line-up. WENGER, THERE IS NOW NOTHING TO LOOSE. In my comment somewhere before the Crystal Palace match, I wrote that there was no margin for error left in the season for the team. I was thinking about top four placing. After the Crystal Palace game my perception took a completely new angle that has me now saying that there is a huge margin for error for our team. Currently sitting at 54 pts we are guaranteed, come what may, that we can’t be relegated. Isn’t it such a liberating thought? So why shouldn’t Wenger just put the patient on the surgical table and use his scalpel with impunity. The only reason I can think of why he wouldn’t want to do that is if he is being rather mindful of his hot seat. We the fans have gone beyond that care. We loose our remaining 8 matches, we end the season at 54 points, mid table, and that’s neither here nor there as things currently stand. We simply want ingenious thinking back in the management of our team. We have a rich enough squad. The problem is that the best is not being gotten out of them. Wenger has become too cautious to venture creatively. Let us for example talk our formation. On paper it is 4:2:3:1. In reality our full backs play more as wing backs which leaves us with a formational shape nearer to 2:4:3:1.Two at the back? No wonder we have shipped in 39 goals already. Walcott and Bellerin, both right footed occupy the same vertical strip meaning we are almost playing two wingers on one side of the field. That is far from an economical structure. On the other side of the field the arrangement is better with Moreal bumping forward only when Sanchez cuts in, which is often. Therefore it is the movement of Sanchez that transforms Monreal from full back to wing back. It is a better synchronized pattern. But don’t forget that when Monreal bumps forward we have left behind only a back 2. Can we go 3:4:3 instead? Now that we got nothing to loose, why not. Let’s talk Ozil. Ozil arrived here with the label of the best #10 in the world, and most of us not least a Mr Wenger, are securely imprisoned within the four thick walls of this label. Go and study Ozil’s assists and meet the facts that over 75% of them come from dead ball situations and from wide areas. But being imprisoned we insist that Ozil stays in the central areas as the #10 where incidentally his abject defensive qualities are over exposed. Ozil needs space, the kind of space only the wide areas can give, or otherwise he needs a quick transition team like Real Madrid of Ronaldo, Benzema and Angel de Maria era. But even then, Modric was preferred to him. Wenger needs to brake jail. He can’t get a better moment for that brake than now that there is nothing to loose. Ozil out wide. Let’s talk Sanchez. In terms of high drama, goals, assists, twists and turns, bursts of energy, he is our stand out player. He started the season as our front man and the goals and the assists were in flow. But there was a negative to his otherwise outstanding role of leading the line. He couldn’t accommodate the fact that sometimes strikers are isolated up field and in such situations they have to do little more than bide their time. Sanchez is an action man. He would rather race to close down the opposition, frustrated that his mates tracking up from their defensive duties have not raced some 30 meters at full speed to come and join in the high press. Result. Recriminations galore a la Sanchez. The harmony of the dressing room gets threatened and there is little doubt in my mind that this is the major reason why Wenger put him back to the wide areas. But does this wide left area bring enough out of him? His play there has gone predictable and sterile for his standards. Ozil thrives in big spaces, Sanchez in small spaces. Sanchez is a prolific goal scorer but he admitted himself that he prefers assisting goals to scoring goals and that assertion is there for all to see. The role that is tailor made for Sanchez is that of a support striker, which, with a little adjustment to suit our formation becomes #10. Strangely this is one role in the front four that Wenger has never employed him. Did Wenger not see it, or was he being too mindful of Ozil? Now that we have nothing to loose, we can afford the experiment of Ozil and Sanchez interchanged in positions. If it is a 3:4:3 Sanchez plays as a false #9 so he is never isolated. Let’s talk Walcott. I had always thought that for top managers their first demand of players is consistency. For sure that is one thing Walcott hasn’t got. You have to be an impulsive gambler to be fielding him regularly. Some days you hit the jackpot. Most of the days you track the long distance home not having a dime anywhere for a cab. Has Wenger of today hinged his tactics on hopefulness, on the double zero? There is absolutely nothing creative about double zero. It’s one long shot. Let’s talk central midfield. Xhaka stood out against Crystal Palace. He has proved himself as a marvellous distributor of the ball. His defensive performance has already improved but it would always be short because he lacks acceleration, those first few strides from static position. Elneny also lacks acceleration and therefore cannot compliment him. Defensively Coquelin can, but he is so poor with the ball, not at all good enough for Arsenal. Ramsey has little regards for the shape of a team and that’s not good enough either. Oxlade can tackle with pace and power, he is also good with the ball but he lacks concentration and defensive awareness. Is the choice of who partners Xhaka now a question of the best of a “bad” lot? Or now that we have a huge margin for error do we think Metersacker as a DM? We remember his talent as an organizer, his passing intelligence, his aerial ability. And if he is pushed back a little bit deeper, would that not become a 3 man central defense for a 3:4:3 formation? Or is there somebody else you can conjure up from the squad? I can’t wait for the summer window. We have a squad that should be doing better. Maybe all we need to do is think outside the box. We have got nothing to lose, so Gooners let the fun begin. If in life we focus on our weaknesses nothing gets done and we will start to feel sorry for ourselves. Poor me, poor us, we just ain’t good enough. Feck that! It is all about confidence and focus and we either get it back this season or we don’t. And if we don’t there is next season to look forward to and start afresh. We have a great squad and nothing is lost yet. Against Middlesborough, I would start with the same eleven. Take them all to a fairground and have some fun together, then for a 20k walk over the Yorkshire Dales and a French picnic on the highest hill. Put heads together and talk things through. Belief again. TA, it’s this kind of your sermon that I love. Bring the music back please. PE, hope you are keeping well. I know it is not going well with Arsenal right now, but it is likely to be a rare blip in a decades long story of success on and off the pitch for the club. Let’s see how it ends this season and what will happen during the summer. I am totally relaxed about it all as all the ingredients are there for another decade of playing at the top and aiming for silverware…. is there more we can ask for? Don’t think so. TA, we allow the moment, which is so fleeting, to overpower us completely. Afterall Chls and Manu missed out on the top 4 last season and for Chls, atm, that’s ancient history. Am already nearly in next season looking back at the distant now. Good writeup. That’s what I had in mind but the words do not come out as good as yours. Maybe we should put 3 at the back with 2 wingers, similar to what you had in mind. This season our positioning is in a mess. Our wingers like to move forward but when we are being attacked we are exposed. I am not sure if we play Santi, will be get better positioning in the midfield area, as the whole team positioning has messed up, by who? I am not sure. It felt like no one knows what is their best place on the midfield, and who to cover. Also our CD (Musti, Kosh, Gabriel) are too front footed. They are so eager to get to the ball that they leave themselves unaware of runners. BFG sees the layout, the spaces, the passing lanes, the runners. Therefore he is a perfect compliment to our front footed tunnel vision CD. His presence might positively alter things for us dramatically. 3 at the back (with the personnel available to us) to go with wing backs appeals to me greatly. I hope Wenger is strong enough to overcome the feeling that it might look as if he is aping Conte. In the final analysis it’s the results that matter. Sorry to be so glum and there’s nothing wrong with throwing out the bold ideas, it’s just not where my head is at. Win at Boro (though that team, facing relegation, should be quite up for it and provide plenty of challenge) and then we can think about maybe not being humiliated vs Man City at Wembly. At this point, I fear, any kind of baby steps the team might make should be celebrated like a trophy…. I fear you have interpreted me a little bit too literally. The old is failing, we need a new. Cant get worse. Could get better. Glad to hear that you’re better 17tino. Seems that Arsenal have agreed a deal to sign Sead Kolasavic, from Schalke on a Bosman in the summer. I don’t anything about him except that he’s a left-back and a Bosnian International. It’s doubtful that he would come without some assurances of playing time so could Nacho Monreal be on his way back to La Liga this summer? 17tino, money talks, whether we’re in the CL/Europa Cup or not, so if the salery is there, the players, in most cases, will sign, I reckon. I’ve often wondered who was behind the £40+£1 bid for Suarez? Makes you wonder how different things might have been if we’d got him, because I doubt that we would have gone for Sanchez and might not have bid for Ozil? HT, BFG for the run in only, max 8 matches, and not for next season. I chose him ahead of Gab because of his qualities which complement Musti and Kosh. I like Holden but experience might be critical here. BFG by my observation is a much better forward passer than Kos or Musti who is by far the worst. 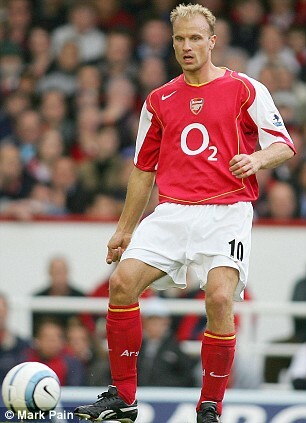 Those with better spatial awareness are usually better passers of the ball (Ozil, Fabrigas, Arteta, Carzola, Bergkamp). I accept there is a chance it wouldn’t work, but what we have now has failed. 7 times that 3 or more goals have been coceeded by us this 2017 demands we try something else. Through balls are are so difficult to make from the central #10 areas when teams defend deep and narrow (as they are wont to do these days). That nollifies Ozil’s greatest asset (assisting) and leaves his net quality at #10 in liability. My thinking is that Ozil would he a lot more productive out wide, left or right. I am still mourning the abysmal performance at Palace to say to much. I do think the mental state of yhe players is nearly as important as who plays. As an example Elneny, he may not be the most exciting player I have ever seen, but you can be totally confident he will give 100 per cent for the team. At this moment we really don’t need players who just stand around and think they are too good for this. It still amazes me how we went from being “too well stocked” in midfield (so much so, no one complained when Jack was sent on loan; not many pined over the thought that Elneny will go off to the AFCON in January), to that area of the field being our weak link. I guess no one thought Santi will get injured and for the whole season; when Ramsey, then Coq followed, it all seemed to fall apart for us. It may look like we have nothing to lose, but after not doing so for twenty seasons, you bet the club is worried about losing out on CL footie. Usually, when we are in a rut, Arsene will go back to the basics: defend first (we will usually play a goalless draw in the next game before a 1-0 win, and so on), then start to scrape win after win. That’s what I will advocate, but with an injection of new/different personnel rather than a drastic change of formation, as the article suggests. I am not sure we have the full complement of personnel to play 3 at the back without some initial teething problems which we can ill afford. Wenger has to find a way to play the likes of Debuchy, Mertesacker Elneny and Giroud a bit more. These are tough times for the boys. Still mourning? Do we wait for the team to pick us up or do we join hands to do the job? Everybody has his/ her bit to do. We, individually, pick ourselves up. You summed where we are perfectly….. state of quandry. Which means, we close our eyes, take a bearing and move on. Decision time. Kev: “Seems that Arsenal have agreed a deal to sign Sead Kolasavic, from Schalke on a Bosman in the summer. I saw that player against Bayern and the way he handled Robben and co, had me rooting for him as a typical Arsenal type full back. Since then, I have placed Schalke 04 as a ‘favourite’ team for videos of games and for reminders to see their matches. Sead Kolasinac is consistent as they come and ripe for the step up. I am sure I have written about him in an earlier article on this site, which was about possible full back signings in the summer. He is hard as nails, pacy, skillful and never shirks an opportunity to bomb forward with intent (hence his high Assist count for a defender). Other than the usual allowance for the EPL bedding-in period, I feel he will fit right in. I only hope the story about him signing a pre-contract agreement with us is true. He should easily replace Monreal and can play as DM too. Kev : “I’ve often wondered who was behind the £40+£1 bid for Suarez? I read someplace that, in the end, it wasn’t about the sum to be paid (even though I won’t doubt that if we had offered over £50m, they won’t be under pressure to pay) as the American Liverpool hierarchy felt slighted at what they saw as an affront by Kroenke, a fellow American, and were prepared to risk a law suit, to ensure Suarez was not sold to Arsenal! The owner was quoted as saying Arsenal did meet Suarez’s buy-out clause but they had decided, as Management, to fight any possibibility of obliging us. The £1 was a cheeky way to make it obvious we had done more than the Clause provided, and any other well meaning club may have sold immediately. But ‘Pool dug in and used the FA to frustrate us further, when the language in which the contract was written was used against us. To be honest, at the time, with all the baggage he came with, Suarez was not worth more than £40m, and that was stretching it then. Eris, I just think a bid of say £42million, what we paid for Ozil, would have got us Suarez, maybe pushing it to £45m, and although I’m aware that he isn’t everyone’s cup of tea, you can’t deny he is a top goalscorer and a great team man, something that Alexis has been routinely accused of lacking. The essence of my point was how different we may have looked if Suarez had signed, because as good as Ozil was/is im not not sure, with Aaron Ramsey playing so well at the time, that we really needed him, controversial maybe but hey, good debate – I hope! In fact, if Suarez had been signed I don’t think Ozil would have arrived, as I couldn’t have imagined Kroenke sanctioning an outlay of €100m on two players in the same summer. P E yep still mourning I am afraid. We have been poor for a long time now and it’s difficult to imagine where this “shot” of self confidence is going to come from. I don’t see this changing until something positive comes from above. I have been Arsene Wenger biggest fan over the years and would like nothing better than for him to turn things around. As Kev has suggested some sort of power struggle must be taking place in the background. Every time Wenger is asked about his future he comes out with the same answer, something along the lines of” we will tell you when we are ready”. I am sorry but that is simply not good enough. I used to go to a lot of games both home and away, sadly not so many these days, but there are thousands of fans who pay good hard earned money to support this team as well as many millions worldwide who support this team emotionally. We deserve a better explanation than this. I look at an Arsenal team these days. Theo Walcott is captain. I like Theo but let’s be honest he is hardly an inspiring player and gets subbed most games. Is he going to provide the inspiration? Is he going to shout out our desperate defence, Bayern 10 goals in two games, WBA 3 goals, Crystal Palace 3 goals. I was at a wedding yesterday talking to a Watford fan who said they used to be afraid to come to the Emirates. Not any longer. Alexis seems to have decided that he is above this team. Once again a huge talent, but hardly a team player at the moment. He does at least seem to be trying to unite the players on the rare occasions we score. He does also seem to have some form of understanding with Monreal. Most of our semi decent football comes down the left flank. Bellerin I believe has been hugely overhyped. When he took over from the unfortunate Debuchy, he played half a dozen decent games and suddenly he is a £35 million Barcelona target and can do no wrong. He looks like he has put a few pounds on to me and has a tarts hairstyle (maybe that’s an age thing). He may be the fastest player in the team, but he is totally clueless when he gets there. Giroud was scoring on a regular basis mainly from inside the 6 yard box, but pretty deadly when attacking the front post. So what do we do we start lumping long balls up to him hoping for a lucky knock down. Xhaka. Out of respect to out glorious leader. I have watched Xhaka more closely. He can undoubtably hit a decent long pass ( although he still seems very erratic to me). Trouble is having hit a decent ball we seem to have adopted this let’s recycle the ball and play another dozen square and pointless balls before losing it again. He also seems unable to tackle without sticking his are on the floor. Other teams have worked out that if they lump the ball intp our penalty area to a big target man we are worse than hopeless (Dawson , Benteke, Andy Carroll when he is in the mood) at defending. But let’s be honest they didn’t need a PHD to suss this out. Coquelin who has been a big asset until recently looks lost to me. Almost certainly guaranteed to pick up an early booking and afterwards adding little and almost always subbed. I have to admit to being really worried when we plays Spurs. I can see the Strong Spurs midfield Djembele , Dyer Dele Ali and Wanyama completely overrunning our powderpuff (and I make no apologies for saying that) midfield. I think it was 17HT who commentated on our poor running off the ball and completely agree. So apologies to everyone who thinks that we are suddenly going to click into gear and become a decent team again over night. I sincerely hope you are right and make me look stupid. I certainly feel better for having a rant and am hopefully we will show a great improvement against Middlesbrough. The fact that they need a win more than we do may be a big factor. T A apologies for using your blog to rant (it doesn’t help that Spurs are mauling Bournemouth in the background ) this has almost been post of 17ht epic length. If nothing else it should flush some comments out from people who think I am talking rubbish. Happy Easter, Kev. Happy Easter, Y’all! And whilst I am ranting another thing is this captain thing is really bugging me. I am privileged enough to have seen some great and inspirational captains. mcLintock, Adams, Vieira I have also seen complete pilchards such as Gallas. Then we gave it to players who might be leaving, Fabregas, Van Persie, Henry. In fairness I think Fabregas did a fair job. These days anyone can have a go. Most of the great sides have had an inspirational captain. I think it is probably a compliment to them that they are on my hate list. John Terry, Roy Keane, Stevie Gerrard etc. Can anyone see Theo being mentioned alongside these guys? Theo only gets it on sentiments of being the longest serving player or something along those lines. Not objective, if you ask me. He does little to merit such an honour, irrespective of the injuries to/ fitness status of our captain, vice captain and next in line player (Mert, Kos and Santi). And there I was thinking Man City will falter to give us a chance, if we could keep winning. Alas! It is not to be this season. The way City have thumped a team like Southampton just gives you an idea of just how much work we need to put in now. Sad, really, how we unravelled as a team. Goonereris, firstly congrats on invading my iPads spell checker. Every time I type Gooner it overrides to Goonereris. Haha, retsub1. Wish they come up with something to override poor form so I can invade our dressing room with a huge dose of it now. Kompany’s return seemed to have boosted the City team. Never seen them so secure defensively and without Kolarov, Stones, Zabaletta or Sagna. T A no matter what happens the team will always have my support. I could never entertain wanting them to lose, which some so called fans are suggesting. Come Monday evening I will be hurling abuse at the ref and cheering for my team as usual. I just feel the club is letting the fans down at the moment. Zip information about what is occurring is creating a sickness in the club. The team will no doubt be well supported up north by our fans. But I fully understand them getting frustrated by our insipid displays.. the fans deserve better than this. I am sure fans would be more receptive if the club showed them more respect and communicated with them. I to would love to see Perez get a game assuming he is fit. But he must have upset somebody along the way because he appears to be way out of favour. A little similar to the Podolski saga? I know you are not a big fan, but in my opinion the Ox is one of the few players who has demonstrated any form recently. Lucas Perez is injured; out of it, along with David Ospina, acoording to the team news provided by the manager on Friday. Today we will be hoping that Liv and Manu loose points which wouldn’t guarantee us anything if our form does not improve. I cannot help but keep hoping that Wenger comes up with a new package, the current one having failed. 1) Welbeck has not found the bite required of a striker. His pace would be better used from the wide areas. Is there room for him there? 2) Sanchez at WL is become predictable, the goals and assists rate greatly reduced. Why shouldn’t he go back to the central areas? 3) Ozil at #10 is handicapped by narrow defensive blocks which denies him of space and by his predilection for drifting away from crowded areas. Why not “drift” him to the wide areas. 4). Walcott is very inconsistent. Therefore he is not good enough made worse by the fact that Middlesborough play with a low defensive block. 5) The back 7 have been shipping in goals and unfortunately there isn’t much we can do there as we have tried all combinations without any improvement. Unless of course we try a formational change. Either 3 CD or 3 CM. The latter gives less systemic shock to what out team is used to and should be preferred. Bench:- Martinez, Gab, Gibs, Coq, Welbz, Theo, Giroud. (Iwobi works better than Welbeck in tight spaces). I think the fans attitude is borne out of a frustration that despite well documented issues, be they transfer policy, tactics or lack of, managers contract saga, owner indifference or complete lack of connection with fan base in particular those that attend the games, that it appears that those in charge are letting things drift and are avoiding difficult decisions, the kind of decisions you’d expect senior management to take. This has a drip drip effect, it hasn’t happened overnight it has grown to where it now. And so we have a loyal fan like Retsub venting his spleen at what he sees as a worrying inertia at the highest echelons of the club. I understand where your coming from Retsub. Nobody in there right mind would dig out their club for no reason and certainly nobody on here. That’s why I like visiting here for the balance of opinion. Are we really that decayed? I don’t think so. Let’s look at the last 6 seasons. In terms of winning the league we have failed while the other big 4 teams have all won it. In terms of the average standing of all teams over these last 6 season, only Manc is ahead of us. And apart from the euphoria of clinching the trophy the latter stat is a better marker of the performance of teams over the period. The Board not taking the decision that we favour does not make them indolent. They might be seeing it differently. For example details can be markedly different because one looks through short-termism while another through a longer-term perspective. Pony Eye, i am a little stunned that you have said that. Does anyone really care that over six seasons we have been statistically successful? Kev and I are amongst the elder statesmen on here ( polite way of saying old git). we have had the pleasure of seeing Charlie George score the winning at wembley. we have seen our teams win the league twice at Old Trafford and Twice at White Hart Lane. Anyone old enough to have seen Michael Thomas score that Goal at Anfield will live that moment for the rest of their lives. the sheer euphpria of these moments are what most supporters crave. You cannot create moments like that, some fans will support teams their whole lives and not get those moments we have enjoyed. Go into the Emirates and jump up and down shouting statistically we have been successful over the past six years I suspect they may bring public executions. The only people who will take any pleasure out of that are kroenkes bean counters. i am not saying we haven’t done well, but it will never create any excitement in my book. As for short termism, we lived for years with the Emirates cost a millstone around our neck . Those days are over now and that is no longer a viable excuse. I haven’t by any stretch of language said that winning the league isn’t ecstasy itself. Am only saying that our more recent history does not deseve this volume of collective moaning. The captain’s armband is wrapped round every fan’s arm and part of our duty is to help lads like Oxlade not to get broken. United have doubled their lead against Chelsea. The worst possible result for us as Spuds’ chances to win the league are on the rise while our chances for Top Four are getting slimmer and slimmer. PE, love your work and suggestions for switch to 3-something-something as our current defensive line-up is completely out of order. I do disagree on the Özil issue though. His movement from the middle is what gives him space on the wide areas. As a wide player, he is also a defensive liability because he doesn’t track back in a way Alexis does. More I think about all our troubles, more I curse those who had given the keys of Arsenal to Stan Kroenke. With Wenger on the bench and most of our talented players out for the greener pastures (= more ambitious club where they will be managed by someone who will know how to turn them into better players), I fear we are very close to the Nottingham Forest-Brian Clough point. In all those games where we have lost, in my opinion we have not looked like making a comeback in any of them. We have simply rolled over and capitulated. At its best you could at a minimum describe this as really poor defending. It’s hardly the supporters fault that we are playing so poorly. The Board have offered absolutely nothing during this period and frankly our supporters deserve better. If some supporters want to have a good moan I don’t think anyone could complain to much. Your pain, believe you me, is my pain. Maybe our point of difference is that you are convinced that these crtisisms would force the Board to act accordingly. If i was sure that it would, then I would let the music play on. But I fear that beyond a certain point the critisms only serve to harm our boys on the field, our image as a club and our longer term ability to recover from the present setback. The team is there to lift the fans and vice-versa. Retsub, whatever happens to the club over the next few years, they cannot take away that Charlie George goal Wembley in 1971, or seeing the bus drive past at Highbury Corner on its way to Islington Town Hall on the Sunday. Or Michael Thomas scoring at Anfield in 1989 (wish I had been there). I think that the fans have been pretty good in the games I’ve been to, despite the media focusing on the few who hold up anti-Wenger banners. P E sadly I have no faith in the current board whatsoever. Arsene Wenger is without doubt the greatest manager in Arsenals history. However whilst he has been struggling he has received absolutely no support from the board ( that I am aware of) . kroenke owns 4 or 5 teams and seems to care very little about the teams and their supporters (someone please correct me if I am wrong). He cares more about his bottom line than the team and it’s results. I doubt the supporters will have any impact on our board, unless season tickets sales fall off and our global popularity demonises. We seem to be doing well in this respect. Chelsea are my pet hate, Abramovich to his credit does appear to support the team though. Kev you are 100 per cent correct about those goals. I have probably bored people with the Michael Thomas story before, but what the hell. My son was born in March 1989 and wasn’t a good sleeper. For some reason the Liverpool game was on s Friday night and at that time it was unusual for a live game to be shown on Tv other than the cup final. So we get to Injury time and that Michael Thomas moment. So the I am running around the room screaming my head off. I think I was upside down running on the ceiling, when my wife uttered those famous words shhhh you will wake the baby. “Wake the baby I shouted, this is the greatest moment in my life etc etc”. Whoops big mistake.